There's nothing like face-to-face meetings with people who know what's going on. 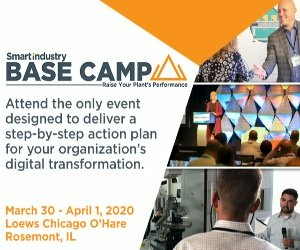 You might celebrate January 1 or Rosh Hashanah or the Chinese New Year, but to me, open season in process automation begins early in February, around Super Bowl Sunday, with the ARC Industry Forum in Orlando. That’s become the place where we find the most significant, representative gathering of end users and vendors, and where we can reliably identify the year’s progress, trends and hot topics. But it didn’t used to be this way. During most of my first stint as a Control editor, from 1993 to 2003, the ISA Show and/or Expo served as the place to see everything, learn what’s new, attend a seminar and make or remake the in-person connections that seem so much easier, yet somehow less real, in these modern days of social media, webinars and e-mail. Back in the 1990s, the ISA Show was a very big deal, and everybody had to be there. Control routinely scheduled a pre-show dinner for our staff, columnists and writers, so we could socialize and discuss what’s going on with the industry and magazine. One of the pillars of those events was long-time contributor Terrence K. (Terry) McMahon. Terry predated most of us on the Control team and all of us in the industry. With his chemical plant job experience at National Lead in the 1950s, his BS in chemical engineering at MIT, his masters and PhD degrees in chemical engineering at Yale, and his specialization in computer systems for IBM, he possessed deep knowledge of not only the process control technology of the day, but the people and the companies that led the way. When we started working with Terry, he had founded and was principal of McMahon Technology Associates, a market research company focused on process control and instrumentation. In 1999, Terry and Steve Walton formed PAI Partners, specializing in process analyzer market research, and Terry expanded his Control coverage of those deeply interesting technologies, where physics and chemistry meet electronics and become data. Terry wrote “Around the loop” for Control from 1992 to 2006, offering news, perspectives and discussions of technologies. For many of those years, he provided the market analysis behind our Top 50 companies in process automation. Despite his familiarity with computer systems (or maybe because of it), Terry remained solidly behind the curve in his use of digital files. While others were mailing their submissions on 3-1/2-in. disks, Terry was sending typewritten pages for me to transcribe. When others began attaching files to e-mail, he started mailing disks. Even after the ISA show declined and we stopped having Control events, Terry would reach out and see if we could get together for dinner. I especially remember one time he had us meet him at the University Club in Chicago, an amazing place with a wonderful history where only a person like Terry would know to go. We were served on china and a white linen tablecloth in its high-ceilinged, wood-paneled dining room with magnificent windows in the heart of the Loop. I’ll never forget it. I left Control in 2003, and by the time I returned in 2013, Terry had moved on. ARC Advisory Group had taken over the task of identifying the Top 50, the ISA Show broke into fragments, and progress in process control increasingly became a story of protocols, networks, computing power and the Internet. Perhaps it’s appropriate that Steve Walton recently used e-mail to notify me of Terry’s passing, at age 82, after a long battle with cancer. His obituary is in the cloud (google “Terrence Kent McMahon”) but to me, Terry will always be a colleague at the table—one who knows what’s going on in process analysis and control. Paul Studebaker is Control editor in chief.